It has been a decade since the G20 leaders of the world’s most powerful economies first met to respond to the global financial crisis and save the world’s economic system from collapse. This year’s summit in Buenos Aires serves as a moment not only to take stock of how the top table of global governance is faring, but also to get a reading of the current state of international affairs generally. In short, all is not well. Each G20 summit’s “family photo” serves as an annual record of who is on top in the world. In this year’s photo: Donald Trump, Mohammad bin Salman, Vladimir Putin, Xi Jinping, Recep Tayyip Erdogan and Paul Kagame. It is a picture that captures the present international moment — one in which the powerful gather to protect and advance their interests, but among their number are ever fewer champions of liberal freedoms and democratic protections. This is a snapshot of an increasingly illiberal world order. On the face of it, the G20 was not set up to be the bulwark of progressive values. It was a pragmatic means of bringing the most systemically significant economies in the neoliberal order together to take collective action on managing the global economy, first in response to the Asian financial crisis in 1997 at the finance ministers’ level, and later at the leaders’ level in 2008 as the threat of a great depression loomed. Liberal standards nonetheless shaped the club’s membership list, even if unevenly applied or without explicit articulation. The original architects of the club, then U.S. treasury secretary Larry Summers and then Canadian finance minister Paul Martin sought to create a more inclusive, culturally and geographically representative group than the exclusive, western-oriented G7. Its members were selected based on a number of criteria, most urgently at the time to prevent the spread of financial crisis. Its members were also selected, democratic or not, based on their subscription to the Washington consensus — the wholesale adoption of neoliberal economic policies — and their adherence to what was seen by the club’s progenitors as “good enough” domestic governance practices. This meant that as the group first formed in the 1990s, Saudi Arabia and China could be included, while Nigeria and Malaysia, despite being originally considered for membership, were left out owing to declining domestic political situations at the time. Moreover, the club has come to adopt an increasingly progressive agenda, adding women’s empowerment, environmental stewardship and labour protection to its core focus on economics and finance, all while incorporating civil society into the summit’s preparatory process. A decade on, though, there are challenges even to the admittedly modest liberal dimensions of the club. While more diverse in its membership, the G20 still falls short as a representative group — that the entire continent of Africa lacks any representation beyond South Africa is a case in point. Additionally, the voices around the table that have traditionally pushed a relatively progressive agenda either no longer do so, as in the case of the United States, or have become quieter in the face of domestic political pressures, as with the club’s European members. And as control of the summit is handed over to Saudi Arabia the year after next, civil society’s inclusion is under threat. 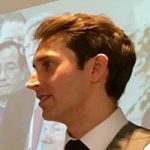 Indeed, the 2016 summit in Hangzhou, China, already gave a taste of what may come, with international civil society having been cut out of the process. It is worth highlighting that an article of neoliberal faith also drove the creation of the group: liberalize global trade and liberal domestic values would follow. This has obviously not materialized — China has demonstrated that it is possible to be a global economic juggernaut without subscription to liberal, democratic norms. The project has even fallen short in the West, most illustratively with U.S. president Donald Trump kicking off protectionist trade wars, abandoning any vestiges of a principled foreign policy and degrading democratic norms domestically. So where does this leave the G20? First, the club is no longer trying to contain a global recession, but instead is now forced to protect the existing economic order being dismantled from within by its former champion. Energies that could be aimed at achieving the Sustainable Development Goals or advancing the Paris Agreement on climate change are instead directed at a rear-guard action. 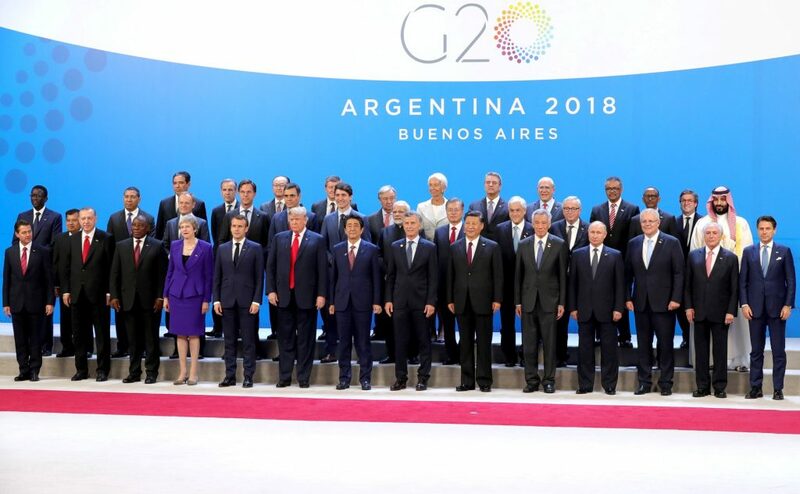 Second, the return of authoritarian-style leadership to the world’s stage means that even if elements of the G20’s agenda remain even nominally progressive, there is even less certainty that the benefits of the global economic system will be broadly and inclusively distributed. Capitalism is safe, but the liberal and democratic dimensions of politics that we assumed went hand in hand with it are not. We are entering an era of illiberal capitalism (if we’re not there already). This entry was posted in departmental news, report and tagged Naylor, report. Bookmark the permalink.